All showings are scheduled through email. Good credit and references required. Available April 1st. Rare offering for this stunning recently renovated 3BD/1.5BA rental on the second floor of a three family home. 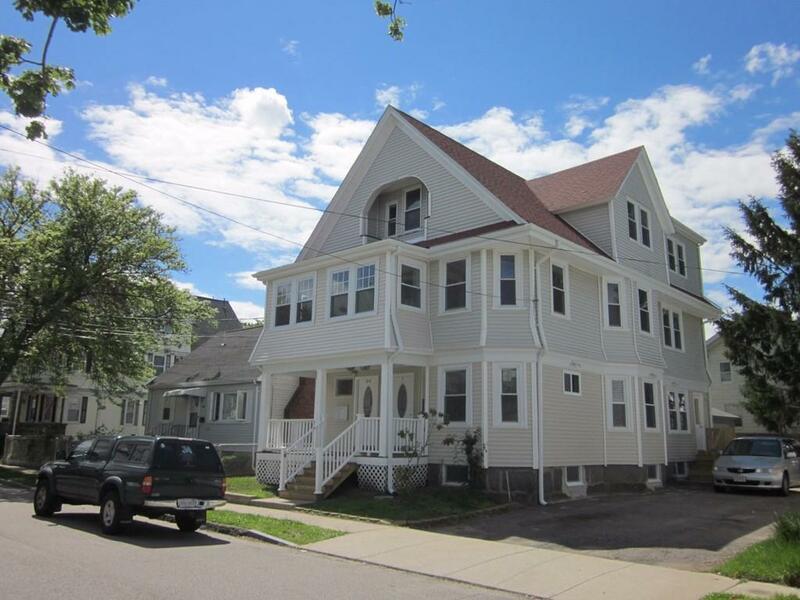 Located in the desirable Wollaston / N. Quincy neighborhood. Just a few houses down from Wollaston Beach. Great water views! Walking distance to the T. Newly renovated eat-in kitchen with all the necessary appliances including a dishwasher. Newly refinished hardwood floors. Equal size bedrooms with adequate closet space. Brand new updated on demand gas heating system. One off-st parking spot. Shared yard space. Private coin-op laundry just for this unit. Private storage available in the basement. This property offers Quincy living at its finest. 1 cat is negotiable. Sorry NO DOGS. This property offers Quincy living at its finest. Hurry to schedule a showing as this won't last long! I schedule all my showings through email. Please email me if you're interested in viewing. Listing courtesy of Christopher Chadzynski of 3A Realty Group. Disclosures If Co-Broke Tenant is Responsible For Fee To Both Agencies. 3A Realty Group Charges A 1/2 Month Broker Fee To The Tenant. Listing provided courtesy of Christopher Chadzynski of 3A Realty Group.